On September 20, 2017 Palli Karma-Sahayak Foundation (PKSF) has signed a Minutes of Meeting (MoM) including Draft Record of Discussions with Japan International Cooperation Agency (JICA). 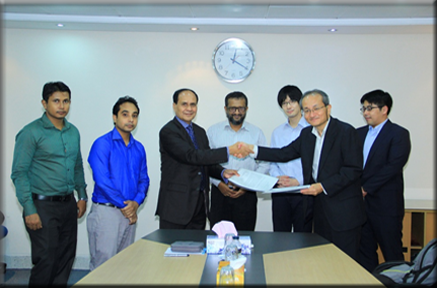 This is to extend cooperation for “Developing Inclusive Risk Mitigation Program for Sustainable Poverty Reduction” project in Bangladesh. The documents are signed by Mr. Md. 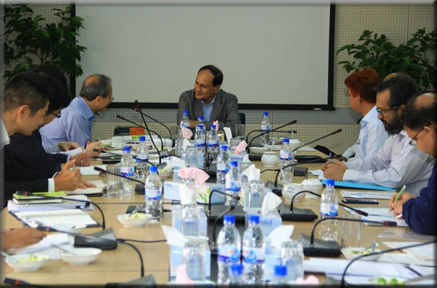 Abdul Karim, Managing Director, PKSF and Mr. Kazuto Tsuji, Team Leader, Detailed Planning Survey, JICA. Mr. Oishi Kohei, Deputy Assistant Director; Mr. Daichi Hirose, Access Advisory Japan from JICA and Mr. Md. Fazlul Kader, Deputy Managing Director and other officials of PKSF were also present on that occasion.